Posted June 26, 2017 by Bob and Jane Kinzie & filed under Backup Generators. A generator can be a real life saver in the event of a power outage. It can keep all of the various appliances in your home running, and allow you to go about your business until the power is restored. If you have a permanent generator installed, things will feel relatively normal inside of your home even when the rest of your neighborhood is without power. But before you purchase a generator, you should take time to determine which size would work best for your home. Here are several of the most popular sizes that will be available to you. A small portable generator is ideal for running just a few of the appliances in your home, and it’s perfect for short-term power outages. You will be able to run everything from your refrigerator to your microwave to your sump pump when you have a small generator. It won’t do much more than the basics, but if you’re only using it for a short period of time, it will serve its purpose just fine. While small generators can do the trick for a few hours, a medium-sized generator will be better for longer-term use. In addition to the appliances listed above, a midsize generator can also power a portable heater, your home’s central heating system, a computer and light fixtures. For people who want to keep just about everything in their homes up and running during a power outage, a large generator is the best option. This size generator can power a small water heater, your central air and even a washer and dryer in most cases. With a large 10,000-15,000 watt generator, it will be business as usual when the power goes out. Are you having trouble deciding which size generator to purchase for your home? 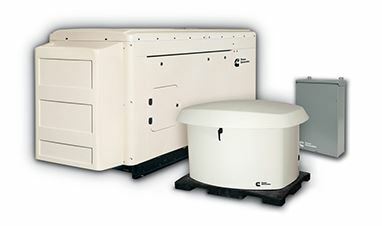 Kenzie Backup Generator Systems can provide you with a free analysis and cost estimate and help you pick out the ideal generator for your needs. Give us a call at 301-469-7800 today to learn more. Posted May 12, 2017 by Bob and Jane Kinzie & filed under Backup Generators. The East Coast is susceptible to hurricanes during the end of the summer and beginning of autumn, and has seen its fair share of winter blizzards and other severe weather fronts in the past few years, as well. Sometimes these storms have caused power outages, sometimes lasting for several days, leaving residents without power – that is, unless they have a backup generator. The perfect time to purchase a generator is now, before any storms or other issues take out your electricity. Fortunately, Kinzie Backup Generator Service carries quality backup generators that are a must, especially if you’re one of these people or businesses that absolutely can’t be without power. If your company loses power and is unable to operate during a storm, there is nothing you as an employee can do. However, if you are your own company and you work out of your home, you are completely responsible for getting any necessary work done no matter what. A backup generator is essential in a daunting scenario like this. Most places will be shut down during a storm, but if you have one of our Cummins generators, you can stay home and focus on the work you need to get done. Parents of children and infants are always looking to keep their little ones entertained. Some parents even must have a generator to keep formula cold or to run the heat in case the power goes out. Whatever your needs are, a backup generator will provide power to keep tablets and games running to keep your child stimulated and engaged during an outage. A generator will also keep lights and appliances running or allow your furnace to stay powered, meaning you can warm bottles for infants and stay warm – and generally make your life as a parent or caregiver much easier no matter what nature throws your way! Perhaps the most important reason to have a backup generator is to keep vital appliances running that are crucial to those with health conditions or elderly individuals. Power outages can have fatal results for people who rely on medical machines or monitors to stay alive. Whether you have devices you rely on at home or you operate a long-term care or elder care facility, a backup generator can be a matter of life and death – literally, in some cases. Don’t end up sitting the dark, wishing you had installed a backup generator when you had the chance. 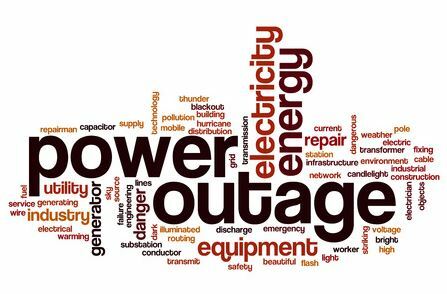 Learn more and keep connected no matter what with a call to Kinzie Backup Generator Systems. Get started and discuss your options with us today by calling 301-466-7800 or request a free quote online now. Posted April 5, 2017 by Bob and Jane Kinzie & filed under Backup Generators. Relying on the cloud has become a really convenient way for people to access their important data, both at home and on the road. 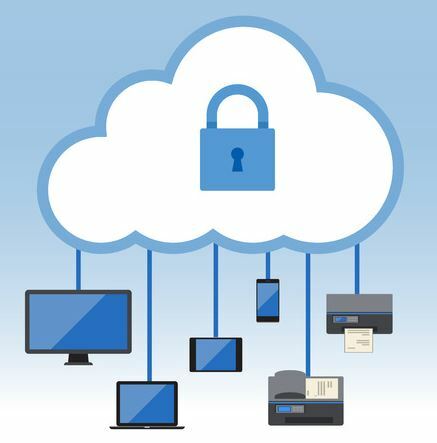 Whether you are using your computer, laptop or smartphone at home to get data from the cloud or you are hosting data from your office or a server at home and accessing it when you’re out handling your business, the cloud has made life simple for those who need to get to their data all the time. But what would happen if the power in your home went out suddenly? You wouldn’t be able to power up all the devices you use to get to your data at home, and if you rely on data hosted from a home server, you’ll be without access to that information – potentially hundreds or thousands of miles away – which could pose serious issues for you if you’re on a business trip. To avoid either of these situations, you should carefully consider installing a backup generator that will keep your home connected in the event of a power outage. Whether an outage lasts for an hour, a day, a week or even longer, a backup generator will be able to keep the electricity flowing throughout your home for however long you’re disconnected from the grid. In the modern world, cellular devices allow us to connect without the need for wires, but even these handy smartphones rely on power to keep them going. Having a backup generator connected to your home to keep everything up and running will allow you to maintain your connectivity so that even in severe storms or long-lasting outages, you can continue to get work done. If you want to avoid any of the situations listed here – and really, who doesn’t? – you should think about having a backup generator installed. Kinzie Backup Generator Service can show you your options and tell you more about how a backup generator will allow you to keep powered on and connected even if power lines are down. Call us at 301-469-7800 today to schedule a consultation with one of our representatives. Posted March 9, 2017 by Bob and Jane Kinzie & filed under Backup Generators. More and more people are turning their homes into smart homes these days. When you have a smart home, you can control everything from your lighting to your thermostat to your home security right from the palm of your hand through the use of a tablet or smartphone. 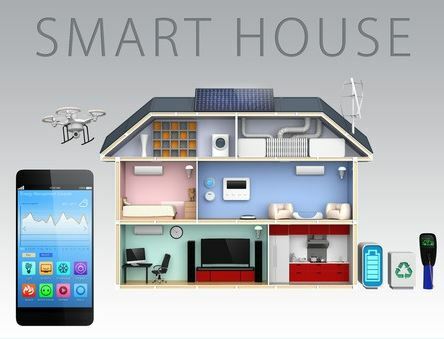 The rising Internet of Things – a term used to describe the growing network of internet-connected devices and appliances – allows the different systems inside your home to work together to keep everything operating smoothly. However, there are a number of potential problems that can arise when you trust your smart home with all these responsibilities. Most notably, what happens when the electricity is out? When the power is out, your smart home isn’t smart without a generator. You can have all the gadgets in the world hooked up, but they won’t be able to do their jobs if you don’t have any electricity coming into your home to power them. That’s why at Kinzie Backup Generator Systems, we absolutely recommend that anyone have a Cummins backup generator installed, but especially those who have a smart home. Having a backup generator will keep your home powered and running at all times. A backup generator can keep the power in your home on for days and even weeks in extreme cases. This allows you to keep your smart products online, meaning that your network of smart home management devices can continue to serve you, even in the event of a wide-scale power outage. Keep everything connected at your home even when the power is disconnected by installing a Cummins backup generator from Kinzie Backup Generator Systems. Our experts are happy to speak with you about the advantages of installing a Cummins generator and how you can design a system that will keep you and all your Internet of Things devices connected no matter what happens. Make the smart choice for your smart home and learn more about backup generator systems today by calling 301-469-7800. Posted February 13, 2017 by Bob and Jane Kinzie & filed under Backup Generators. Whether you run a business that would be negatively impacted by a power outage or you worry about how you and your family would survive without having power in your home for an extended period, you should consider installing a backup generator or an uninterrupted power supply (UPS) so that you don’t have to worry about either of those scenarios. You should also learn the differences between a backup generator and a UPS so that you know which one is a better option for you. Backup generators and UPS are both great for preventing serious damage to electronics and the loss of data that you have stored. They are also both able to keep the power running in a home or business in the event of a power outage. But the biggest difference between them – and the thing that makes backup generators a better option for most people – is that backup generators are able to stay on a lot longer than uninterrupted power supplies. In fact, many backup generators are designed to last for as long as you need them to, provided you have them connected to a fuel source. On the other hand, a UPS kicks on following a power loss, but is only designed to provide short-term power. A UPS will give you the time you need to power down electronics and save valuable data, which is why many data and computer centers choose to use them, but a UPS relies on a battery to keep it going, and like any battery, the amount of power that it can provide is limited. When it comes right down to it, only you can decide whether a backup generator or a UPS is better choice for you. But the average home or business owner will find that a backup generator will be the more convenient option to keep the power on in whatever circumstances may occur. Kenzie Backup Generator Systems can speak with you about how one of our generators can benefit you and show you some of the whole-home and business generator options we can install for you. To learn more, give our experts a call today at 301-469-7800 or request a quote online to find out how a generator can keep you and your home or business protected. Posted January 12, 2017 by Bob and Jane Kinzie & filed under Backup Generators. Losing power as a result of a hurricane, snowstorm or another weather-related event or service downtime can be incredibly frustrating. 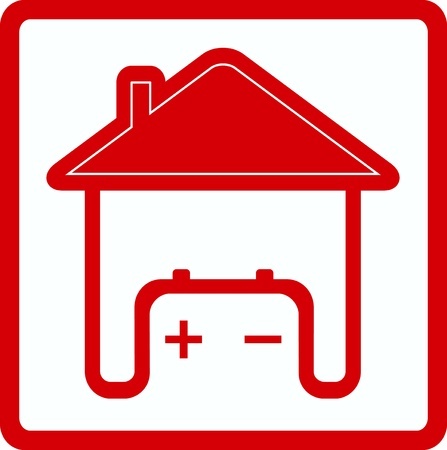 If the power doesn’t return to your home for several hours – or, in a worst-case scenario, several days – you could be forced to throw out food that has gone bad, layer up your clothing to prevent the cold from affecting you, or even suffer from burst pipes or other issues as your home cools to the point where it affects your plumbing. All of these reasons and more are why the New York Times says more and more homeowners have turned to generators in recent years to keep the power coming to their homes during outages. If you are considering investing in a generator, you will typically be considering two main options: A portable generator or a permanent generator. Portable generators are typically cheaper than permanent generators and, during short power outages, they will do the trick once you pull them out of storage and get them going. But in general, installing a permanent generator is a much better idea and will absolutely prove to be a better long-term investment. Permanent generators are safer and quieter than portable options and designed to start automatically at the first sign of power loss which means there’s no need to fuss with unburying your generator and hoping you remembered to gas it up and maintain it between uses. These generators are also nearly impossible to steal since they are large fixtures and hardwired to your home, which adds security and peace of mind. These generators are also able to provide enough power to keep your entire home or selected circuits powered for days on end. In fact, if you have a permanent generator hooked up to a natural gas line, it can usually provide power for the full length of any outage, which means you will be able to go about your business as normal even when your neighbors are still waiting for the lights to come back on. With a backup generator installation, regular maintenance and routine inspection done by the team at Kinzie Backup Generator Systems, you’ll never have to worry about power becoming a problem for you or your family. Best of all, permanent generators will usually increase the value of your home, as well, and provide another great selling point if you list your home on the market in the future. So what are you waiting for? If you have been thinking about having a generator installed, Kinzie Backup Generator Systems can give you a quote and walk you through all of the benefits having a system installed. Give us a call at 301-469-7800 today for more information. Whole Home or Select Circuit: What’s the Difference? Posted December 22, 2016 by Bob and Jane Kinzie & filed under Backup Generators. It’s never a good thing when our homes lose power. However, having a backup generator can help you keep the lights on even when everyone else on the street is in the dark. If you’re looking for one for your home, chances are you’re trying to decide whether you want to configure a whole home or select circuit generator system. Both provide backup power, but what’s the difference between the two? A whole home generator is pretty much exactly what it sounds like. This type of backup system includes a generator with enough electricity-generating capacity to back up the electrical service for all of the breaker panels in your house. This means that when the power goes out, the whole home system will kick on and power up everything within your home. Once it does, it will seem as through you haven’t lost power at all and you will be able to go about your day as you normally would. As for a select circuit, that involves having a generator attached to only the circuits you would need most if an outage occurred. These systems work by connecting the generator to a breaker panel with a 100- or 200-amp automatic transfer switch. When the system detects a loss of power, these select breakers are then powered back up by the generator. This type of system is perfect for anyone who realizes outages are normally temporary but want to keep the essentials, such as heat, targeted lighting and kitchen appliances running during the down time. Pricing for these different backup systems varies for two different reasons. Whole home systems are priced out by the size of the home they will be serving. Larger homes with a higher power demand will require a more powerful system. Select circuit systems, on the other hand, don’t need to provide complete power, but instead targeted electricity, which means that these systems have a more adaptable price that is based on how many distinct breakers will be served by the backup system. If you’re interested in getting a backup generator system installed for your home, Kinzie Backup Generator Systems can help. For more information or to have a system installedwhy call us today at 301-469-7800 today! Posted November 29, 2016 by kinzieadmin & filed under Backup Generators. A backup generator system is incredibly worthwhile, especially during the winter months. If a storm or other problem with electrical service in your area causes your home to lose power, having a backup system installed ensures that your home will stay lit and warm during the inclement weather. When service is turned off to a home during the winter months, the situation can become dangerous quickly. The temperature inside of your home can dip down to a dangerous level within just a few hours, and in addition to the discomfort and health risk of this cold, there is also an increased chance that the pipes in your home will freeze and burst, creating a big mess if power isn’t restored quickly. It’s why many homeowners have chosen to install backup generator systems to protect themselves in the event of a power outage. 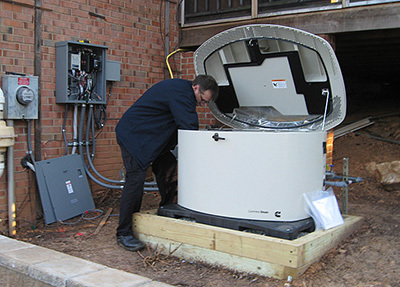 You need to do more than just install a backup generator system to protect your home, though. You also need to do preventative maintenance on it and winterize your system so that it’s ready to go if your home ever loses power during the winter months. So what’s involved with winterizing a backup generator? To start, it’s important to test and run your backup generator system before it starts getting cold outside. This allows you to see how the system runs and identify any potential problems with its operation. If you notice that your generator is running strangely, sputtering or showing any other symptoms of irregular operation, call for maintenance on your system to ensure that it’s winter ready. You should also change the oil and oil filter in your backup generator system to make sure that all lubricants are fresh and ready to keep the motor running during the cooler months. You’ll also want to check the condition of electrical components within the generator, including the battery, spark plugs and ignition contact points. During the winter months, you’ll also want to inspect your generator regularly and prevent snow and ice from building up on or around the unit. This can block ventilation or put stress on the generator that can impact proper operation when you need it most. At Kinzie Backup Generator Systems, we can help you make sure you’re ready for winter with our preventative maintenance service. We inspect your backup generator, perform an oil change annually, inspect all connections, hoses and belts for leaks and much more. Best of all, when you buy a new generator system from us, you’ll receive two free maintenance visits during the first year to help you make sure that your system is ready to go whenever the power goes out. The last thing you want to do is wait until it’s too late to seek service. Whether you need maintenance for your existing system or are interested in learning more about installing a new backup generator, find out more today by calling Kinzie Backup Generator Systems at 301-469-7800. Posted October 11, 2016 by kinzieadmin & filed under Backup Generators. 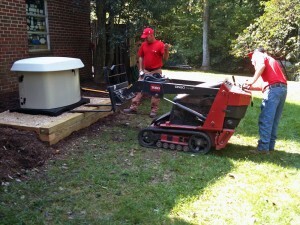 Installing a backup generator outside of your home is a great way to ensure that you can continue to go about your business in the event of a power failure. But one of the biggest complaints that homeowners often have when it comes to backup generators is that they can be incredibly noisy. Generators made by companies like Kohler, Generac and Briggs will often make a lot of noise and can cause friction between neighbors. Fortunately, though, there is one company that makes keeping the noise down a priority in the design and construction of its backup generators. 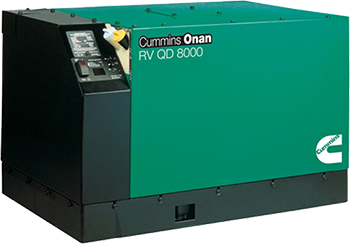 Cummins generators are the quietest generators on the market right now, and you will be doing a service to both yourself and your neighbors when you purchase one. Often times, local governments and homeowner associations will limit the amount of noise that you are allowed to make with a generator. For example, Montgomery County in Maryland has a noise limit of 65 decibels during the day and 55 decibels at night. If your generator makes more noise than that, you could be subjected to fines, and you will surely upset those around you who are forced to listen to your generator all day and all night long. With a Cummins generator, however, you won’t have to worry about making too much noise, since the company has worked tirelessly to create quieter models. The Cummins RS-20kw – one of the most popular Cummins models – registers at just 62dba, for example, which is significantly less than similarly capable Kohler, Generac and Briggs models. If you are thinking about installing a new generator outside of your home, you should seriously consider getting one manufactured by Cummins. Kinzie Backup Generator Systems can educate you more about them and even provide you with an on-site demonstration to allow you to hear for yourself the difference of sound production from one of these units while running. Learn more about installing a Cummins generator or request an appointment to learn more by calling Kinzie Backup Generator Systems at 301-469-7800 today. Posted October 3, 2016 by kinzieadmin & filed under Uncategorized. Welcome to our new blog! Please stay tuned for more content coming soon!